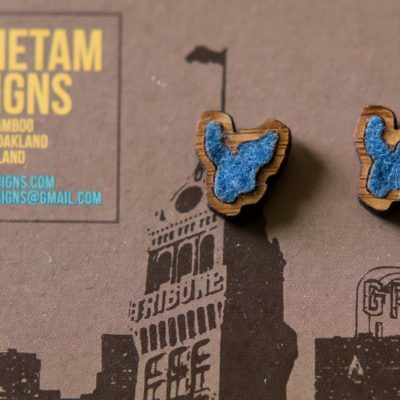 View cart “Oakland Crane Stud Earrings” has been added to your cart. 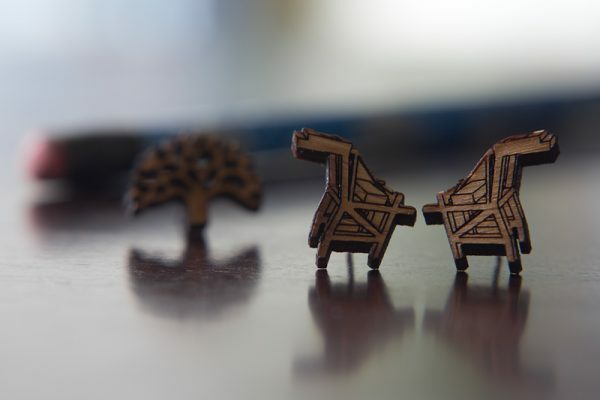 We took one of the cargo cranes at the Port of Oakland, made a shrunken down 3D model of it, wire-framed it for detail, and laser cut it into stud earrings from bamboo. Now you can wear it on your ear. The posts are hypo-allergenic surgical stainless steel and are ultra-light weight, so they won't hold you down. We took one of the cargo cranes at the Port of Oakland, made a shrunken down 3D model of it, wire-framed it for detail, and laser cut it into stud earrings from bamboo. Now you can wear it on your ear. The posts are hypo-allergenic surgical stainless steel and are ultra-light weight, so they won’t hold you down. DESIGNED AND MADE IN OAKLAND. 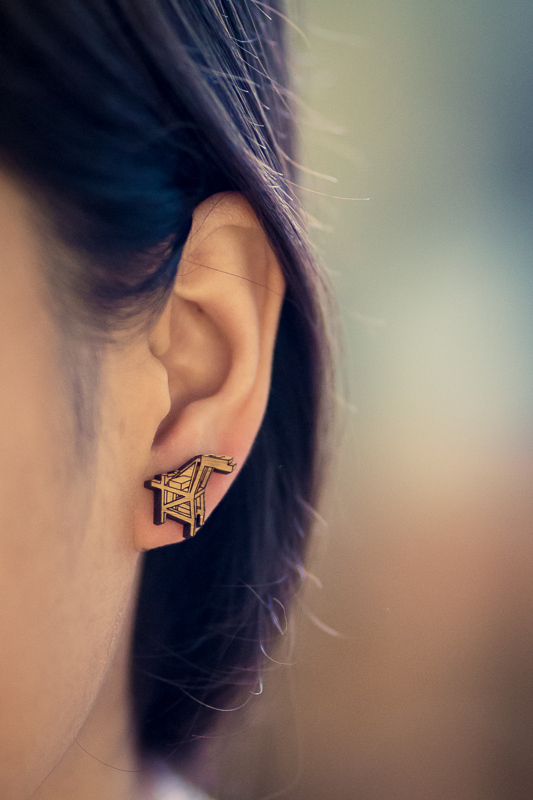 This stud earring was designed and made in Oakland just like all of our other designs. You’re keeping your money in the Oakland community. 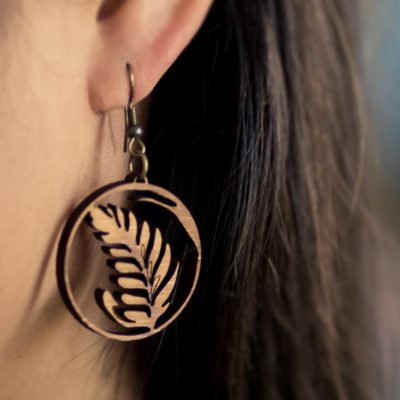 The earrings are laser cut in West Oakland. They come on a card (also printed in Oakland) featuring recognizable Oakland landmarks.